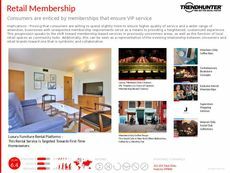 Find Better Ideas, Faster ® with a custom community hub trend report, our PRO Dashboard and 80+ categories of premium trend reports. 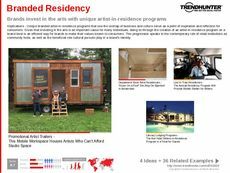 The Community Hub Trend Report focuses on centers, programs and services that cater to community members to engage them in social activity or development programs. 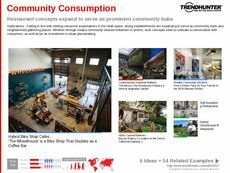 Restaurants have expanded to become hubs where consumers come to socialize, shop and eat. Health centers have also developed programs that invite visitors to stay for more than just exercise. Malls include comfortable living room spaces, greenhouses and even community gardens to promote consumer interest and local culture. This is great for community center programmers, urban planners and social service providers. It's also useful for restaurant owners and managers and those interested in the development of things like community gardens. Finally, retailers who are looking into shared economy and hybrid retail designs will find this useful as well. 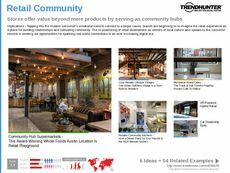 The Community Hub Trend Report showcases retail, restaurant and social centers that promote community-building and social engagement.